Des Moines police have released the radio calls from the fatal shooting and standoff Wednesday on the north side of the city. Police say 38-year-old Randall Moore kidnapped his wife, 30-year-old Thereseann Lynch, from a nearby mall and then shot her at their apartment. 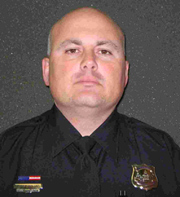 Des Moines police officer Todd Roland responded and was also shot by Moore. Roland is heard on the radio just after being hit by the shotgun blast. Roland says “I’ve been hit” and the dispatcher acknowledges his message and notifies other officers. Roland was hit in the hand. Des Moines dispatchers contacted the man via telephone and the dispatcher then warns officers not to confront him. Officers were later able to enter the apartment and arrest Moore. Moore is charge with first-degree murder, first-degree kidnapping and attempted murder. 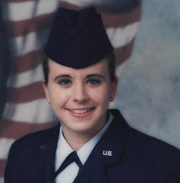 Thereseann Lynch had served three Middle East tours with the Iowa Air National Guard and worked for the Iowa Department of Human Services. The two have an eight-month-old child. Officer Roland had surgery on his hand and could be out of the hospital today.